Hamilton firefighters used ropes and a basket to rescue an injured woman who plunged about nine metres at Felker’s Falls in Stoney Creek. When the crews arrived Thursday, “they found they weren’t able to go down and carry the person out. They needed rope rescue,” said fire spokesperson Claudio Mostacci. The department responded to the call just after 1:30 p.m. and had pulled the woman up by 3 p.m. 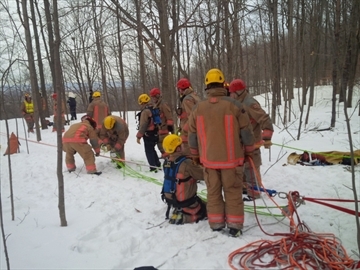 Firefighters set up the rope rescue from the edge of the frozen falls, lowered a basket and secured the woman, Mostacci said. Mostacci said she was walking along a trail when she fell about nine metres, winding up about 30 metres from the top of the falls. He said the woman was taken to hospital but he couldn’t comment on the extent of her injuries. Firefighters close to the falls’ edge had to be tethered to prevent them from slipping and falling over. An Eagan man was pulled from a house fire Wednesday. The fire chief arrived to the home on the 2900 block of Lexington Avenue around 4:40 p.m. He saw heavy smoke coming from the house and was told by a neighbor one person was inside. The victim was found inside and was immediately removed. Fire staff and paramedics started rescue efforts at the scene. The 58-year-old man was taken to Regions Hospital suffering from burns and smoke inhalation, according to fire officials. Crews from five Eagan fire stations, along with one Mendota Heights fire crew battled the fire for about three hours. One Eagan firefighter was taken to an area hospital for observation. Firefighters battled extreme cold temperatures and icy conditions. The Salvation Army was called to the scene to provide warm beverages and food for the fire crews. The house is considered a total loss, according to fire officials. The cause of the fire is under investigation by the Eagan Fire Marshal. A babysitter watching the 10-year-old girl who fell into an open well Monday in Pasadena tried to keep the girl calm, calling her “baby” and “sweetheart” while on the phone with 911 operators. 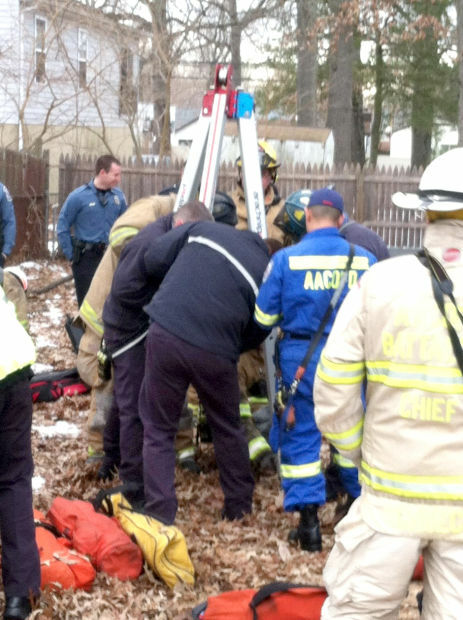 Anne Arundel County firefighters rescued the girl about 4:30 p.m., half an hour after she fell into the 30-foot deep well behind a home in the Green Haven neighborhood. The girl fell into the well while playing in the backyard of her home in the 800 block of 207th Street, said Division Chief Keith Swindle, a department spokesman. At 4 p.m. the department received a 911 call from the house. “There’s a child in a well…” the babysitter said. The child, who can be heard faintly in the background, expresses concern about something falling on her. The babysitter reassures her that she won’t let anything fall. She tells her a “strong gentleman” at the house is going to lower a ladder, and then she’ll lean in and hold it so the girl can climb out. Firefighter Megan Stanton, the 911 dispatcher on the other end of the call, warns the woman not to do that, and said that help is on the way. Swindle said the well was covered with deteriorated plywood, which collapsed while the girl was either standing or playing on it. The well opening is about 3 feet wide. “The child was playing with a group of others, and they were just running around the yard,” Swindle said. The babysitter tells Stanton in the 911 call that the child’s mother is not at the home, and she wants to call and tell her what happens. When members of the department’s Technical Rescue and Confined Space Rescue teams arrived, they confirmed a child was in the well and set up equipment. The girl, whom Swindle declined to name, was alert and communicated with rescuers. 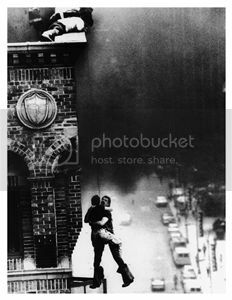 Firefighter Donna McGuire was lowered into the well and attached a harness to the girl. Then they were both lifted to the surface together. McGuire, who was not available for comment, is based at Jones Station in Arnold, where the Technical Rescue team is based. Swindle said the girl was flown by state police helicopter to Johns Hopkins Pediatric Emergency Room in Baltimore with injuries, including hypothermia, that were serious but not life-threatening. This morning, a woman who answered the door at the home said the girl was fine and in good spirits. The woman identified herself as the property owner, but declined to provide her name. “She was extremely brave. She didn’t even cry,” the woman said. The girl fell almost the entire depth of the well, but landed in water that may have prevented more serious injuries, she said. The girl’s mother wrote a letter to news source Anne Arundel 1st Alert to thank those who rescued her daughter. She said her daughter was playing with the neighbor’s dog when she fell into the well, which was covered in snow. She was sent to John’s Hopkins, but is now in good health. The mother wrote that she is looking for the names of those who assisted in the rescue, a woman who went into the well and a person who was injured during the rescue. “My daughter wants to write thank you notes to them,” the mother said. Don Curtian, county deputy director of environmental health, said such wells were once common in Anne Arundel County, but as public water lines have spread and deeper wells were needed, they have become increasingly rare. They are most often found in south county. Public water lines were extended to the Green Haven neighborhood in the 1960s. State property records show the house was built in the 1930s, but sold several times. Curtian, who has not been to the house, said the description released by the fire department makes it appear the well was an old one that was not properly closed. Under county and state law, property owners are responsible for sealing old wells when a house is connected to public water or a new well is completed. Curtain said sealing a well involves removing the plumbing and pipes, then filling it with dirt and capping it with a 3-foot thick plug of cement 3 feet below the surface. There is no penalty for improperly sealing a well. Bob Mosier, county schools spokesman, said the school system has reached out to the family of the girl to offer assistance. The child is a student at High Point Elementary School in Pasadena. 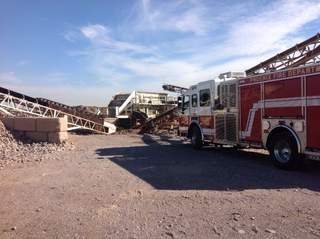 PHOENIX — A man’s arm had to be amputated after an accident at a sand, rock and gravel business in Phoenix Monday morning. Capt. Jonathan Jacobs with the Phoenix Fire Department said the man’s arm became caught in a conveyor system at the business near Southern and 69th avenues. Paramedics were able to stabilize the man. Two extrication units were called to the scene to remove large pieces of equipment that the man was entangled in, according to Jacobs. The medical director from the Phoenix Fire Department was also on the scene. It was determined that a field amputation of the man’s arm was necessary. Following the amputation, the man was transported to a local trauma center in critical condition. 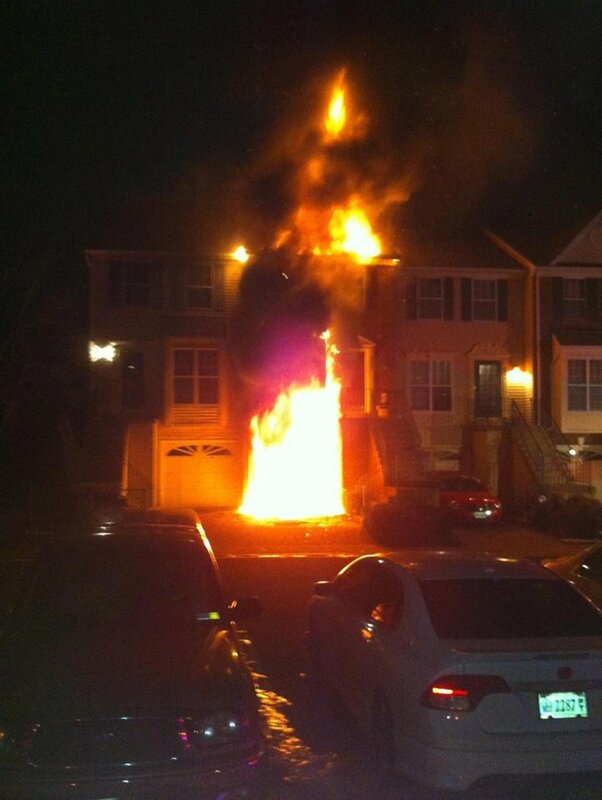 Fire officials in Fairfax County are working to determine what started a 2-alarm fire that gutted a townhome in the Mt. Vernon section of Alexandria Monday morning. Firefighters were called to the 8500 block of Towne Manor Court around 3 a.m. When crews arrived, they found fire coming from all three floors of the home and learned that a male occupant was trapped on the third floor of the home. Firefighters used ladders and took out a rear window to rescue the man. A second man, who was able to escape the fire unharmed, told News4’s Melissa Mollet that he believes the home’s dryer may have started the blaze. Clifford Ward said he and his partner, Jeff, have lived in the home for about a year with their five dogs. Ward said they recently had someone out to fix the dryer last week after it began smoking. He recalled what happened Monday morning for News4. “We were in bed, and he went downstairs to check on one of the dogs then he started screaming, ‘No, no’ and ‘Fire,’ Clifford Ward said. Ward said he believes Jeff went back to the third floor to look for one of their dogs when he became trapped. “The police came first…and told me to get away from the house, don’t go back in,” Ward recalled. Fire officials say four of five dogs inside the home survived. Jeff was transported to an area hospital, with severe smoke inhalation. His condition is not known at this time. While Ward believes the dryer may be to blame, fire investigators have not determined what caused the fire. WEST ST. LOUIS, MO (KTVI)-An overnight fire had St. Louis firefighters fearing the worst, early Saturday morning. Flames were headed for the roof line in a house full of people, including an elderly disabled man. Still, firefighters saved the house on Parkland Place in North St. Louis. That disabled man never had to leave home. The fire started in a third floor bedroom around 3:00 A.M., which was right where firefighters stopped it. “It extended just slightly into the ceiling,” Mosby said. Firefighters did it all while standing guard over Dallas Cox, 81, and her disabled husband who were downstairs. They’d been married 41 years she said. They never had to leave their home, even when it was on fire. “We did stay there and made sure that he was safe; sort of like staying at the ready,” Mosby said. Firefighters did evacuate two adults – along with a 16 year old and a 10 year old. Careless smoking the suspected cause, Mosby said. “Smoking in bed, or smoking, or carless with smoking materials, is the leading cause of fatal fires in our country. So, we’re very fortunate here, particularly combined with not having functioning smoke alarms. Cox called the firefighters’ response a blessing. It did not end with putting out the fire. Firefighters installed 3 smoke detectors before they left. The house was not only still “livable”, but also safer than it was before residents woke up to what seemed to be a tragedy in the making. “Waking up is great, if you wake up, but with no alarming system – lucky, very lucky,” Mosby said. City residents who do not have working smoking detectors can simply call the fire department at (314) 533-3406 to have firefighters bring new smoke detectors to their homes and install them – for free, Mosby said. TRENTON — City firefighters rescued a man who was hanging out of a second-floor window as he tried to escape a fire in a vacant house on Walklett’s Alley last night, officials said. Heavy smoke was pouring from the house, just off Bayard Street, when firefighters arrived at 10:46 p.m., Battalion Chief Todd Fell said. They rescued the man and doused the fire within 10 minutes. The man was treated at the scene by Trenton EMS, but it was unclear whether he required further medical attention, officials said, who added it was unclear why he was in the vacant house. The fire began on the first floor, Fell said, and the cause of the fire is still under investigation. NASHUA — Four people were rescued from a burning building early Friday as firefighters found them hanging out of a second-story window at a Beard Street residence. Shortly after midnight, city fire crews responded to a fire at 5 Beard St. and were alerted that people were still inside and trapped on the second floor. Four occupants — two adults and two children — were leaning out a second-floor window when they were rescued by firefighters, said Deputy Fire Chief Karl Gerhard. He said furniture was blocking a fire escape. Other occupants of the five-unit building were awakened by fire crews and were able to leave the building once firefighters were on the scene, said Kevin Kerrigan, deputy fire chief. The fire was in the stairway and hallway of the second floor, and was quickly brought under control, according to fire officials, who said the majority of the fire damage was limited to that one small area, not in an apartment. Kerrigan said the fire is under investigation by the Nashua Fire Marshal’s Office and Nashua police. Although fire officials would not elaborate on whether the blaze could be suspicious, an official with the city’s Code Enforcement Department said Friday afternoon that the fire is believed to be arson. “The person who started it has already admitted it,” said Nelson Ortega, code enforcement manager. He said two of the five units within the building have been declared unsafe and uninhabitable. Occupants of the other three units are able to return to their apartments, he said. Five people were displaced because of the fire, but all of them were staying with friends or family, according to Kerrigan, who said there was no need for American Red Cross help. The occupants who were rescued — ages 25, 23, 3 and 2 — were fortunate, Kerrigan said, because the fire started at a time when most people might be sleeping. He said at least one resident was awake and smelled smoke. The family could not leave their apartment because the fire was burning by their door in the outside hallway, and a large piece of furniture was blocking a fire escape. Firefighters used a ladder truck to rescue the four residents; none of them were injured. “They were actually okay,” said Kerrigan. Fire officials said the extreme cold proved challenging, with ice forming on firefighters, their equipment and the ground. Although smoke detectors were present, Gerhard said none of them were sounding when crews arrived. Ortega said there was fire and water damage to two of the five apartment units, and code enforcement workers found other minor code issues while they investigated. 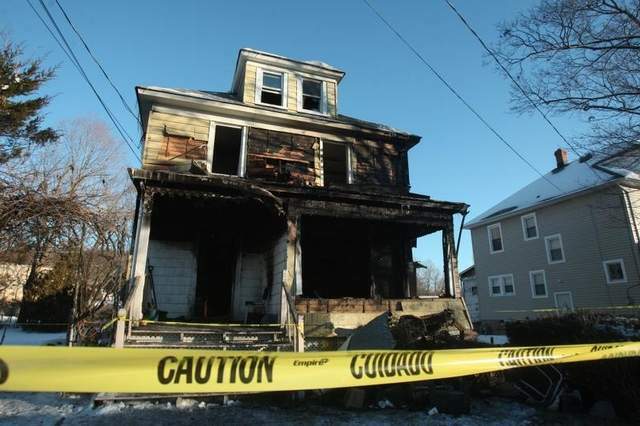 ROXBURY — A man was rescued from a fire that severely damaged a Ledgewood home Thursday night, police said. “It was a great overall team effort and it was a success because we were at the (Roxbury Chemical Engine) Co. 1 headquarters for a drill,” said township Fire Official Mike Pelleck. “We were in the process of doing a drill so we were all ready to go” when the call came in. Police and firefighters were dispatched to the fire on Circle Drive in Ledgewood at 8:01 p.m., according to Jennifer Dillard, press information officer for the police department. Heavy smoke was coming from the front of the home when firefighters arrived and they learned almost immediately that there was a person trapped inside the residence, Dillard said. The person who was trapped inside on the second floor, whose name was not released by authorities, called to say he was trapped, Pelleck said. Firefighters found the victim and took him out of the house. He had sustained serious injuries and was flown by helicopter to St. Barnabus Medical Center for treatment, Dillard said. The man was in critical but stable condition on Friday, being treated for smoke inhalation. A second male resident of the home was able to get out safely on his own and was not injured. No other injuries were reported. The fire started on the first floor and while it is not considered suspicious the cause remains under investigation, Pelleck said. Firefighters from Netcong, Mount Arlington and Randolph responded to the scene to assist. The Morris County Office of Emergency Management sent their rehab bus so firefighters had a place to take a break, get warm and could be checked out in the event of any medical issues. The frigid weather added an extra challenge to battling the fire so firefighters used SeedyDry, which is an ice melter and absorbent substance that can also be used for fluid spills. “There was ice on the ground and some of the crews put down some SpeedyDry to keep people from slipping and falling,” Pelleck said. The township Road Department also responded and put down salt in the area, he added. The fire was knocked down in 10 minutes but the house had sustained serious damage and was declared uninhabitable, Pelleck said. Authorities declined to give the names of the firefighters who rescued the victim from the burning building. In a statement, Police Chief James Simonetti praised the firefighters for their quick actions in rescuing the victim. Phoenix firefighters were sent to Papago Park on Thursday morning to rescue a woman who said she had been trapped for the past day in a crevice 100 feet off the ground, a Phoenix Fire Department spokesman said. The woman reportedly became trapped yesterday and a passerby head her yelling on Thursday morning, according to the Fire Department. She was uninjured when she was reached by the rescue team, who rappelled down from the top of the face to make contact with her. 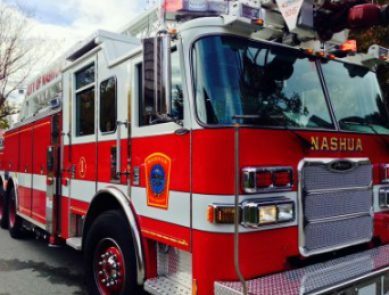 The woman told someone she was going for a hike Wednesday morning, and reportedly fell into the crevice and could not get out, said the Fire Department spokesman.